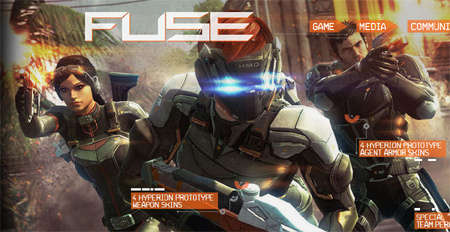 We have just finished reviewing the soon to be launched Sci Fi Game “Fuse”. This brilliant game encapsulates everything good about adventure games, bringing the world of the CIA and the Alien world into one thrilling game. The Game Reviews team rarely find a game that fits into three types of Genre, namely Science Fiction, Adventure and Shooting. The game is an absolute must for anyone who enjoys a thrilling challenge, as the diverse levels and general game play stretch you beyond any other type of game. To say that we rate this game highly is an understatement, it really is a Fantastic game that is due to be launched around the world in May 2013. The game hosts an array of elements to enjoy, such as Lethal Teamwork, planning attacks and of course selection the wide selection of weapons that are required to complete the games complex challenges. The sounds are quite exceptional as well as the brilliant graphics and effects, a real joy to play. The main concept of this game is to ensure the alien technology Fuse is not used by the wrong people, whilst planning attacks and other combat related tactics, especially as the player is a CIA Government Agent. The game also features some great upgrade features for weapons and abilities, ensuring a great all round gaming experience for anyone who dares to take on this great challenge. The game allows players to join up in groups of three to take on the challenges, which is a fantastic feature and ensures good teamwork is maintained in combating the challenges. We have also compiled a Review System for this, of which the Fuse Game Review is Rated as Five Stars, the highest possible score available from the Game Reviews Team. The classic TV and Film based game Star Trek is due to be launched to the general public in April 2013 by Namco Bandai Games, a game that really cant be missed by any Science Fiction fans out there. We have been looking at this game in great detail, and have been very impressed by the Graphics and general game play elements. The sounds within this game are incredible, with the original Star Trek actors voices implemented into this fantastic Sci Fi experience, an absolutely brilliant take on the Universere and the Star Trek story line. This Star Trek Game offers simple and very effective game play, with the usual villains on hand to mix up the game play elements, you really will thoroughly enjoy playing this all time favourite Sci Fi game. The Space Ship graphics are simply Out Of this World, with a full selection of weapons and other high tech tools to take full advantage with. If you Pre Order this game, you will qualify for some very exciting Extras, such as the Elite Officer Software Pack, this offers a full selection of extra clothes to add on to the already brilliant ones, a great added bonus for any Star Trek fan. This type of Extra Addon, is a very clever marketing tool for the game developers, ensuring Pre Order Sales hit the roof. The exact date for this Game to be released in Europe is 26th April 2013 – We highly recommed pre-ordering this game as soon as you can. The Science Fiction genre scene will be enhanced greatly with this new game, ensuring all of its competitors will have to raise there game in order to meet the same High Standards of the new Star Trek Game. Reviewing this game was an absolute pleasure, a Fantastic game that is regarded by the Game Review team as One of the Best Sci Fi Games of 2013. 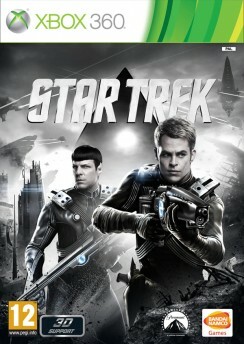 We have also compiled a Review System for this, of which the Star Trek Game is Rated as Five Stars, the highest possible score available from the Game Reviews Team. We have just reviewed the all new Mobile App game Star Splitter 3D and we are glad we did. This fantastic Outer Space game offers an Out Of This World gaming experience, with remarkable 3D Graphics on offer. The developers of this game have clearly invested a lot of quality time and effort in creating one of the best Sci Fi games we have had the pleasure of reviewing in 2012. The game offers the ability to build your very own Space Ship with an array of additional options to upgrade the weaponry elements for you space craft. The attention to detail really is impressive, most especially for a mobile game, ensuring a really enjoyable gaming experience. There are 60 Individual missions on offer within the Star Splitter 3D Game, ensuring a really good challenge to all players. The game is also available Free, so it is highly recommended by all our Team to download immediately, in order to experience probably one of the finest Sci Fi games on offer to mobile gamers. 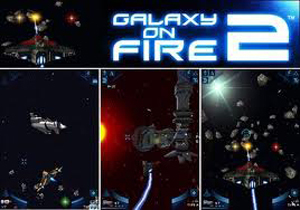 The array of weapons is very impressive, with Fire Lasers, Rockets and much more to enjoy within this Space game, with great game play especially when fighting against Aliens and taking over there planets. We have also compiled a Review System for this, of which Star Splitter 3D is Rated as Five Stars, which is an excellent score from the Game Review Team. 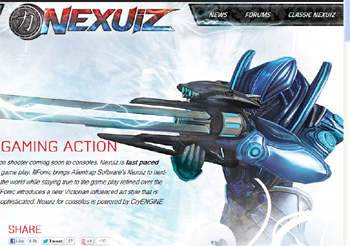 If you enjoy playing Galactic War games then the all new PC Game Nexuiz is an absolute must play game for anyone who loves this type of game genre. The team at Game Reviews have played the new Nexuiz Game for over 6 hours and have been very impressed by the amount of Battle Arenas that are intagrated into this fantastic inter planet shoot em up game. The technology that has developed by THQ is very impressive, with the enhanced Cry 3 powered engine graphics on offer, this makes a massive difference for an enjoyable and realistic gaming experience. The game play covers the 2 familiar family wars between the Kavussari and the Forsellians, who battle it out in an inter galactic war, the game offers incredible sound and graphic quality to match. 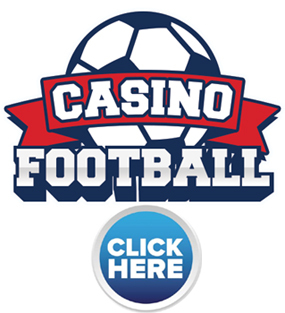 There are many options to this game, from Mutations to a fantastic tournament system including leader boards and a wide selection of gamer communication methods via Facebook, Twitter etc. Overall this game is quite simply outstanding and one to buy for anyone that loves a challenging game. PC – More devices to be announced. 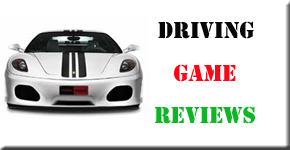 We have compiled a Review System for this, of which the Nexuiz Game is Rated as Five Stars, the highest score from the Game Reviews Team. 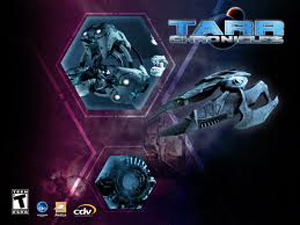 Tarr Chronicles has to be one of the most interesting games we have ever come across from the science fiction genre which had us glued to our screens for hours on end when we first played this top game from Paradox Interactive. The game is set in a time where your solar system is falling apart and players must guide their people from the area in search of a new home before the chaos and destruction catches up with you and destroys you all. The games concept is very good and the way it has been incorporated into the game play of the game is quite unique and has been done brilliantly. After many hours playing this game we have to say that we thoroughly enjoyed every moment of it as it kept us enthralled and excited during our whole reviewing process. The only slight drawback of the game is that the graphics can become slightly delayed during scenes where there is a lot going on but it does not affect the game that much and it is hardly noticeable unless you are looking for it. Overall this is a great game that really does deserve huge amounts of credit and we are sure it will be a huge hit among the gaming world. We have compiled a Review System for this, of which Tarr Chronicles is Rated as Four Stars, the second highest possible score from the Game Reviews Team. This is another great game from the team at Paradox Interactive that has become one of the most popular science fiction games of all time and after many hours of reviewing this game we have to say we can see exactly why. The game takes place in the middle of a interstellar battle based around the planet Saraksh as players are tasked with completing various military missions. From the moment we first played this game we could see just how much attention to detail has been put into it with brilliantly high detailed locations and scenery throughout the game. 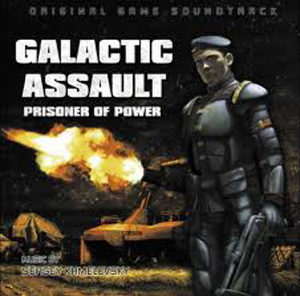 The game play of Galactic Assault Prisoner of Power is what makes it totally unique as it contains many concepts which we have never seen before. Graphically it is also very good as it provides a completely 3D world filled with jaw dropping visuals which depict the setting of the game perfectly. In summary this game is more than worth buying as right from the word go it is completely captivating and highly addictive in every way. We have compiled a Review System for this, of which Galactic Assault Prisoner of Power is Rated as Five Stars, the highest possible score from the Game Reviews Team. One of the hottest games releases of the year has finally landed on our doorsteps and with this all new edition of the resistance series we have been treated to one of the best games of this kind we have ever seen so far in our careers. Resistance 3 is an all out action adventure game which takes place in a futuristic world where aliens and humans live together in harmony. Well that is supposed to be the way it happens but now as time has gone on the alien hordes have now chosen to take the planet for themselves and players are required to lead the resistance against them. The game has brilliant graphics throughout that are some of the best we have seen from this series as they are highly detailed and so realistic. Game play can become quite confusing in this game as at times there is so much going on it can be hard to keep track of which can be very annoying from time to time as you easily miss important things. All in all we have to say we really did enjoy reviewing this game and are sure that all of our readers will love this game even though it has some minor faults. 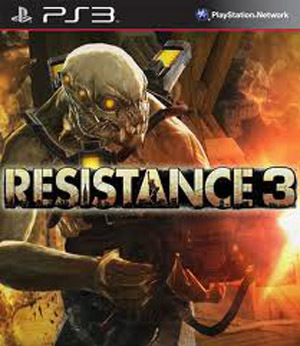 We have compiled a Review System for this, of which Resistance 3 is Rated as Four Stars, the second highest possible score from the Game Reviews Team. Hold on to your handle bars and fasten your galactic seatbelts as one of the most brilliant Super Mario games we have ever come across finally lands at your doorstep and oh boy is this game going to impress you so much just like it did with us. 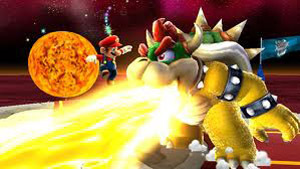 Super Mario Galaxy 2 is the second edition of one of the most popular Super Mario games ever to break onto the market and now offers the gamer so much more with its all new plots and story lines which make this game encapsulating. Graphically the game is as you would expect of a Mario game as it has pin point details which run smoothly throughout the game as well as many all new concepts which have improved the game considerably. Game play is always where these games have come in to their own and this is no exception as it is very addictive and thoroughly enjoyable right from the word go. It has to be one of the best adventures we have seen Mario and Luigi undertake and we have to say we loved every minute of reviewing it. We have compiled a Review System for this, of which Super Mario Galaxy 2 is Rated as Five Stars, the highest possible score from the Game Reviews Team. After the huge success of Dead Space 2 which was one of the games of the year last year the thought of playing the new edition was one of the most exciting we have had for quite some time and the game did not fail to impress in any way when we first saw it at a preview event. Dead Space 3 is a virtual carbon cope of Dead Space 2 but there have been some very beneficial changes to the make up of the game which make it so much more enjoyable than we thought possible. The graphics in the game are some of the best we have seen from this series as every aspect of it is delivered in a jaw dropping and visually stunning way which offers the most realistic environment you could have wished for in this game. The game is also very scary indeed with aliens and other horrible creatures coming at you thick and fast through the entirety of the game. Game play wise we were very impressed as it literally has everything you could wish for in a science fiction shooter game and this is why we rate it so highly. 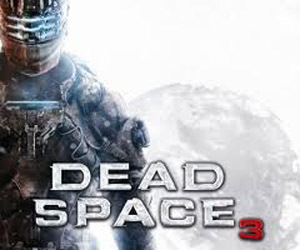 We have compiled a Review System for this, of which Dead Space 3 is Rated as Five Stars, the highest possible score possible from the Game Reviews Team. Like with all video games created by Sega we expected to be given a brilliant and revolutionary game when Infinite Space first arrived at our doors but we have to say we were very disappointed once we had actually played the game for a few hours. The plot and story line just seem to be so familiar as they have been used in so many games like this so there is nothing new and revolutionary about that aspect of the game. The graphics don’t fare much better as they are very primitive and to tell the truth it is like playing a game from the nineties rather than 2012. Although we fully appreciate these types of Retro Games are becoming more popular, so our opinion compares to mainly the new mainstream types of games. The only saving grace of this game is that it does have the tendency to keep you engrossed for long periods of time but we do not know why so all is not lost on this title. In summary we were disappointed with infinite Space as it failed to add anything new to the genre, however applaud Sega in producing somehing different and Retro. 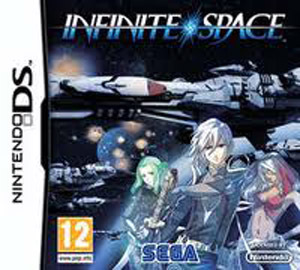 We have compiled a Review System for this, of which Infinite Space is Rated as Two Stars, the second lowest score possible from the Game Reviews Team. One of the most popular and successful science fiction games of all time was the second edition of the Sword of The Stars series and as we had never had the chance to play the original of this game we thought it would be beneficial if we reviewed this original game so we could give the best review of it to our readers. Sword of The Stars sees humanities best scientists discovering new technology which allows humans to travel to all four corners of the galaxy in next to no time which sounds great but you never know what you will find on the other side of the portal. As mankind is so intuitive we continue to explore the galaxy using this new technology until we come across an alien force that is less than hospitable. Now the aliens have followed us back to our home world and have waged war on the human race and players must lead the rebellion against them. Players will need to position and deploy their forces against the invading hordes and use tactics to defeat their enemies or they will face total annihilation from our enemies. We found this game to be ok in many ways but it did not blow our socks off like the second edition of the game and if we are to be totally honest we were a little bit disappointed with the overall performance of the game. The graphics and game play could have been made so much better if a little more time could have gone into it and this was the most upsetting fact about this game. We have compiled a Review System for this, of which Sword of The Stars is Rated as Three Stars, the third highest score from the Game Reviews Team. 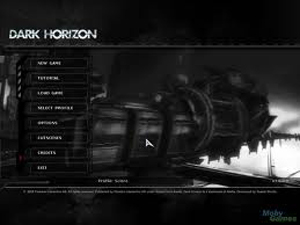 Well we have been treated over the years to some real blockbuster space simulation games such as Dead Space and Gears of War so when we first got hold of our copy of Legends of Pegasus we did not know what to expect as we have been disappointed by games such as this on many occassions after holding high hopes for them. This we are happy to say is not one of those cases as right from the word go this game astounded us as it has so much incorporated into it when compared to other games and the team at Novacore Games have done a sensational job with it. Players will become entangled in one of the largest intergalactic battles since the first Star Wars game where they will be tasked with participating in many different types of space battles as well as spy based missions behind enemy lines. The game has brilliant graphics which really do make the game come to life as all the ships and locations have been designed perfectly to depict the era of the game. Where this game excels the most is in its game play as there is always something new to dig your teeth into so no matter how far along in the game you are there are many new features you will find along the way. Top game all round this and we cannot recommend it enough to all our readers as we are totally sure you will love it as much as we do. 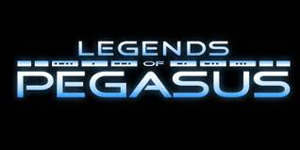 We have compiled a Rating System for this, of which Legends of Pegasus is Rated as Four Stars, the second highest possible score from the Game Review Team. We have been treated to some of the best first person shooter games in recent times and some of these have come from the Red Faction series of games so when we first received our copy of the all new Red Faction Armageddon we did not know what to expect so we got ourselves comfortable and began to see what this game had to offer. Right from the opening moments of the game we could see just how well this game had been created as the introduction scenes were so much better than the ones we had experienced in the previous games and were so visually striking. The game itself carries on the tradition of being extremely easy to get to grips with the menus and so on being very easy to navigate. The plot of the game is also very well created and offers many different twists and turns which allow players to choose their very own story line paths so the game can go in any direction you the gamer wishes. The graphics are a big improvement on the previous game with beautfiully created characters and fight scenes which look so realistic you would be forgiven for thinking you were watching a movie. Game play is one of the best aspects of this game as it is completely enthralling in every way and extremely smooth running. All in all we found that we loved this game completely and it was one of the most addictive games from this genre we have ever played so well done THQ on this masterpiece. 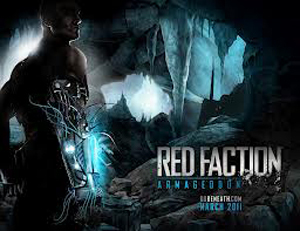 We have compiled a Review System for this, of which Red Faction Armageddon is Rated as Five Stars, the highest possible score from the Game Review Team. 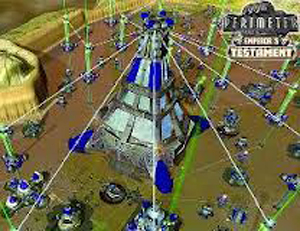 Perimeter Emperors Testament is without a doubt one of the hottest games around right now from the science fiction genre which now has thousands of happy gamers playing it each day both in standalone and online game modes. The game takes place as the Earth is under attack from various invading forces with the war raging on for over two centuries. Players must deploy and arrange their forces in their best strategic patterns if they are to have any chance of leading their people to freedom and riding the planet of the scourge of the universe. 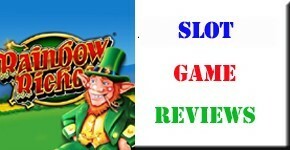 With brilliant graphics that are so realistic and some of the most unique and innovative game play we have seen this game is just a sensational hit and after many hours of reviewing it we can see exactly how it has become so popular around the gaming world. All in all this game is a complete masterpiece which will be a great addition to any fan of this genres gaming collection and we highly recommend it to all of our readers. We have compiled a Review System for this, of which Perimeter Emperors Testament is Rated as Five Stars, the highest possible score from the Game Reviews Team. For those of you who love games based around alien invasions UFO Extraterrestrials will be right up your street as it contains everything you would expect from a game of this type and much more. The year is 2025 where humans have colonized a planet called Esperanza but after a short time on the planet we realize we are not alone and the planet was not as dead as we first thought. We now see many of our workers disappearing and when we investigated we found that there are hordes of aliens living below the surface of the planet who are hell bent on driving us off their home. The games concept and game play are quite phenomenal to say the least and every bit of detail throughout the game has been well thought out and delivered in the best way we could ever have imagined. The tasks within the game are very hard to complete and will take all of the gamer’s skill and know how to be successful in their adventures. The team at Paradox Interactive have done a brilliant job with creating some of the most believable graphics and visuals we have seen to date and this makes the game so much more enjoyable. Overall this game is a must for fans of this genre and we can see it doing very well throughout the gaming world. 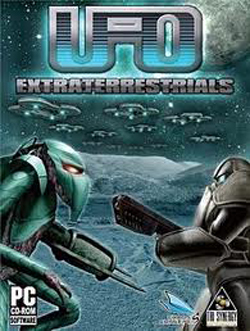 We have compiled a Review System for this, of which UFO Extraterrestrials is Rated as Four Stars, the second highest possible score from the Game Reviews Team. 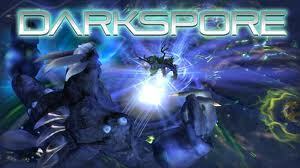 It has been a long time since we have had the chance to play a great science fiction based role play game set in space so when we first received Darkspore we were extremely excited with the prospect of this game. The game you will be glad to hear did not disappoint in any way, shape or form as it does exactly what it says on the tin and does it very well indeed. Darkspore is jam packed with action scenes where the player must decide where to deploy their forces as they strive from freedom against the invading alien forces who are attempting to take over the Earth’s territory and ultimately wipe us out of existence. The games graphics are some of the best we have seen for this type of game as they are extremely highly detailed with exceptional colour schemes and high definition screenshots and movies throughout the game. The best point of this game is the fact that the game play is so addictive as we found that after only a few minutes we were completely enthralled within the game and we could just not put it down. Top game this from the team at EA Games and we cannot recommend it enough to all our readers as it is sensational. We have compiled a Review System for this, of which Darkspore is Rated as Five Stars, the highest possible score from the Game Reviews Team. The mega movie hit has finally landed on our gaming computers and oh boy are you in for a treat as we have been reviewing this game for some time now and we have to say what a brilliant game this is and it has blown our socks off ever since we first received it. Men in Black Alien Crisis follows the story line of the movie where players must lead agent J against many evil aliens who are hell bent on causing death and chaos across the Earth. The game features amny revolutionary scenes from the movies which really do provide the feel of the game being much more realistic than what we would have expected before receiving it. 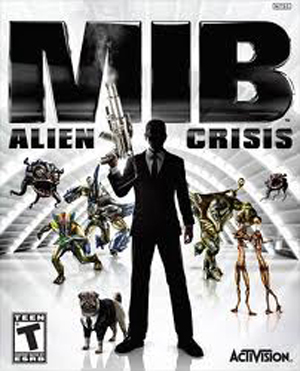 Game play the Men in Black Alien Crisis is brilliant as it is jam packed with action fight scenes and puzzles which challenge the gamer to the highest level possible and is great fun throughout the game. One of the hottest aspects of this game is the stunning visuals as they are so good you really do feel like you are in the movie which is quite a coup from the team at Activision. all in all this is a very good game which is well worth getting if this genre is your type of thing and we cannot recommend it enough to you. We have compiled a Review System for this, of which Men in Black Alien Crisis is rated as Four Stars, the second highest possible score from the Game Reviews Team. 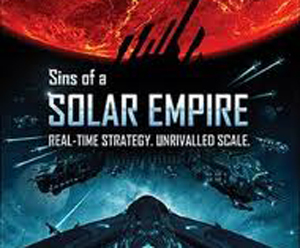 Well for you fans of the science fiction space genre have we got a treat for you in the shape of the all new edition of the Sins of the solar Empire Rebellion series which has been one of the most highly anticipated games of this type of the year so far. Players will once again undertake the ferocious battle between good and evil as war rages across the galaxy with evil enemies at every corner who are hell bent of wiping you and your people off the face of the planet. We found this game to be highly exciting as it features very innovative concepts which reallydo stretch your imagination futher than we ever thought possible in this type of game. The game which has been created by the team at Ironclad Games contains some of the most stunning visuals and imagery we have ever had the pleasure of seeing in a game of this type and this fact is what makes this game so good and more importantly believable. Game play wise again this game is tremendous to put it mildly as it offers you everything you could wish for from its creative stroryline to the way the characters move around the game. 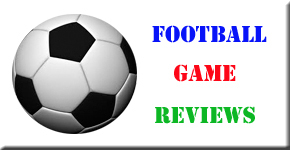 All in all we have to say we love this game so much and just have to give it a good rating as we have seen no better this year. We have compiled a Rating System for this, of which Sins of a Solar Empire is Rated as Four Stars, the second highest possible score from the Game Review Team.